I’m not a big bowler. I’ve tried, and it’s an activity that aggravates me. Lifting a weighted ball with one arm and throwing it in a straight line towards pins is simply a skill I do not naturally possess nor desire to perfect. I do, however, enjoy the environment. Friends, food, fun…yup, it’s all my favorite. While the company is still fairly new, locations are popping up all over the country. And after our first visit, there was no denying the demand for what they’re offering. 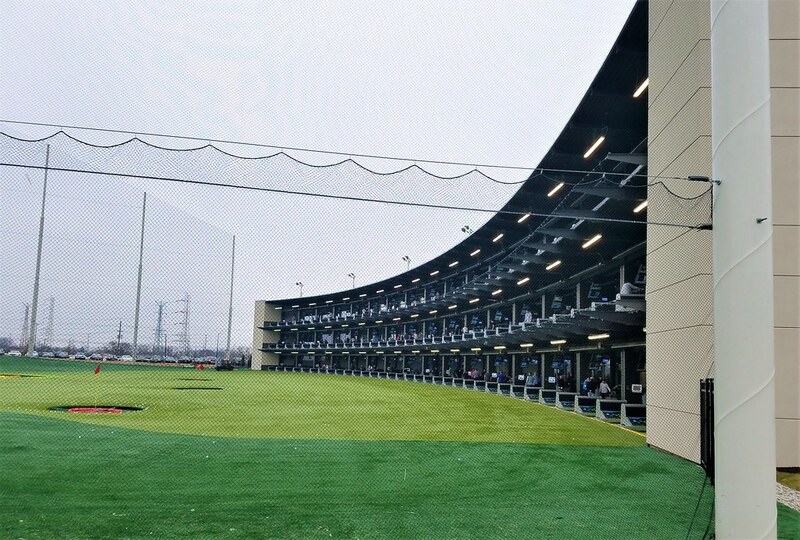 Similar to bowling, guests to Topgolf rent climate-controlled bays facing an outdoor golf range, set up according to the Topgolf game options. 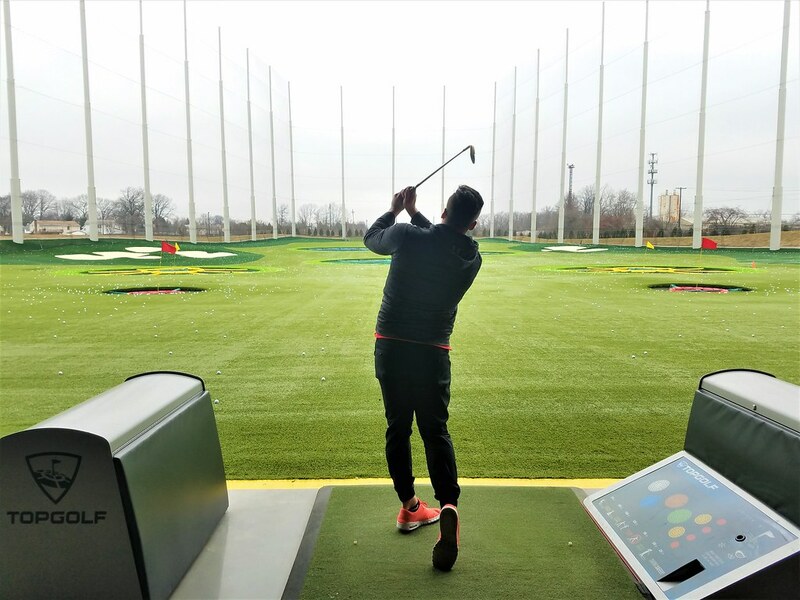 Just as you can bring your own ball to a bowling alley, you can bring your own clubs to Topgolf, or use the provided men’s or women’s clubs in your bay. 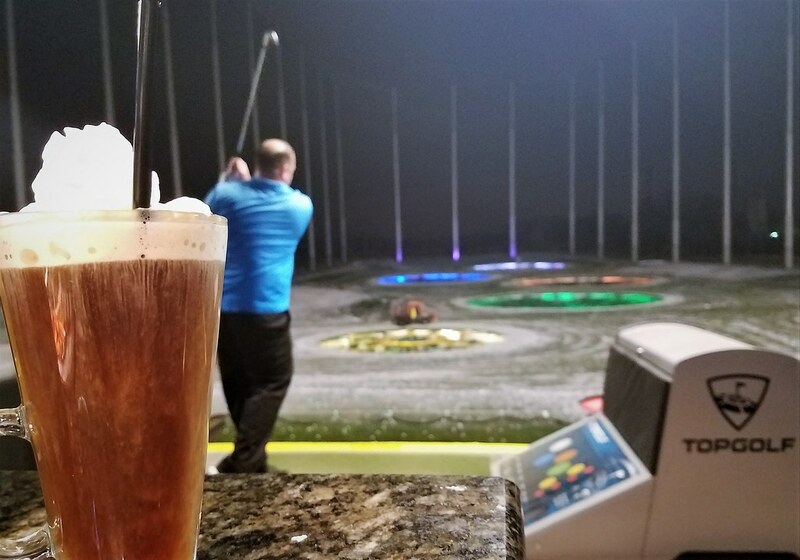 Our first visit was with friends on a Saturday night about a month after the Edison location’s grand opening. 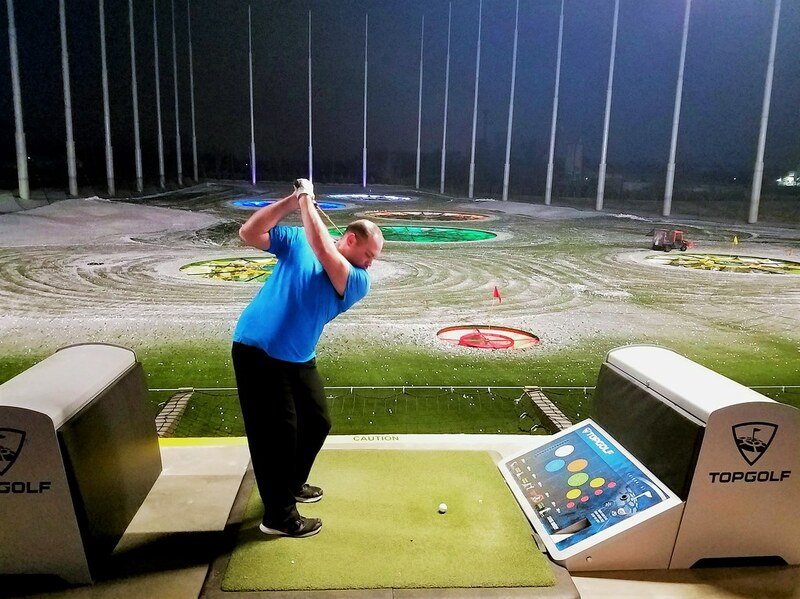 * I gathered, from a quick review of their website a few days beforehand, that all guests must sign up for a $5 membership card in order to reserve bays and track their games played**. *First word of advice, do not expect to get a bay on a Saturday night without a several hour wait. An employee told me to arrive before 11 am on Saturdays and Sundays to avoid waiting. **Second word of advice, purchasing said membership card online will not shorten your wait time on your first visit. First time visitors must get in a rather long line (depending on time of day) to sign up and receive their membership card. A separate line is used for bay reservations. Despite a quoted three and a half hour wait* and a very cramped parking lot, our first visit was a success. 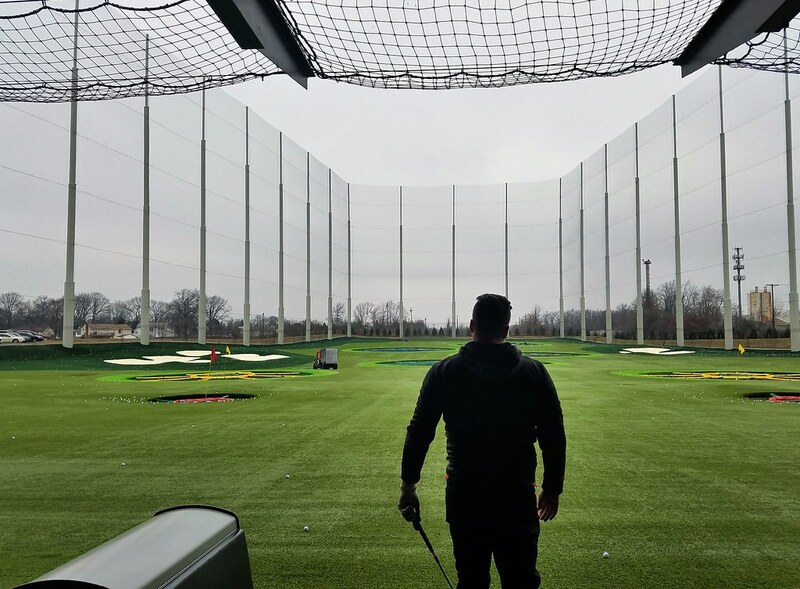 I’m sure after Topgolf has been open for a few months the craziness will die down a little**. *Which turned out to be only two hours. **At least, that’s what I’m hoping. 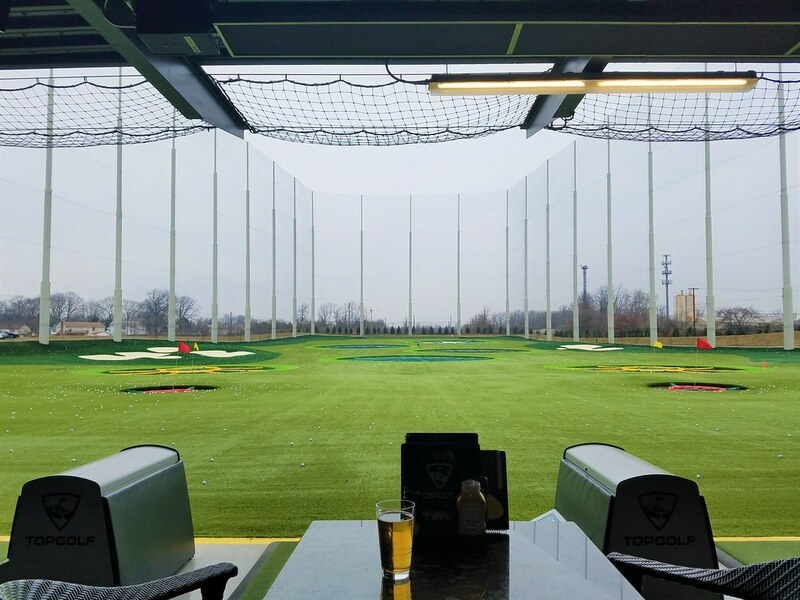 Like Golf & Social, Topgolf is open year-round. * We played with snow on the ground. Pretty cool if you ask me. *Though last weekend Hubby blew my mind by driving me past our local golf club to prove to me that people do still golf in 35 degree weather. Crazy. Being ever so true to our nature, Hubby and I returned a week later during the afternoon*. *We had an hour wait, which ended up being closer to 45 minutes. 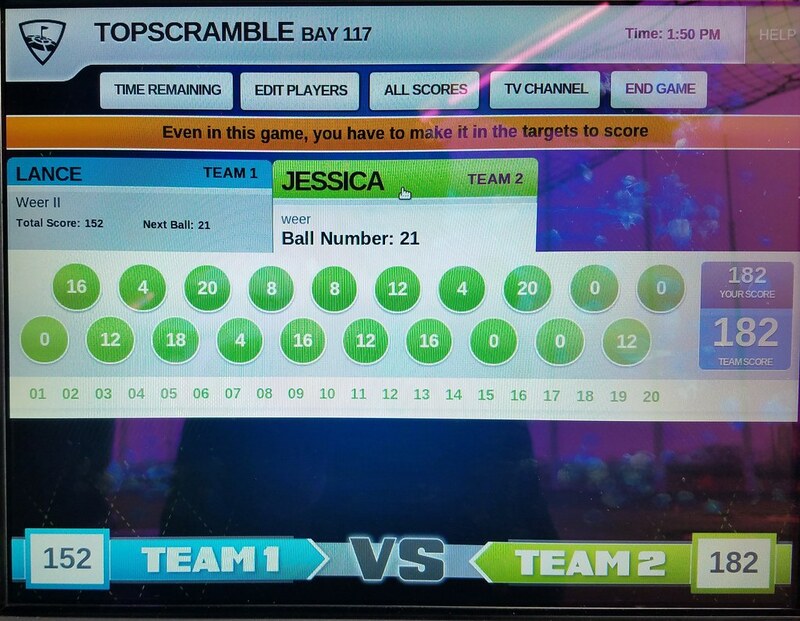 And I beat him 2/3 times playing TopScramble. Yeah, I felt pretty good about myself. 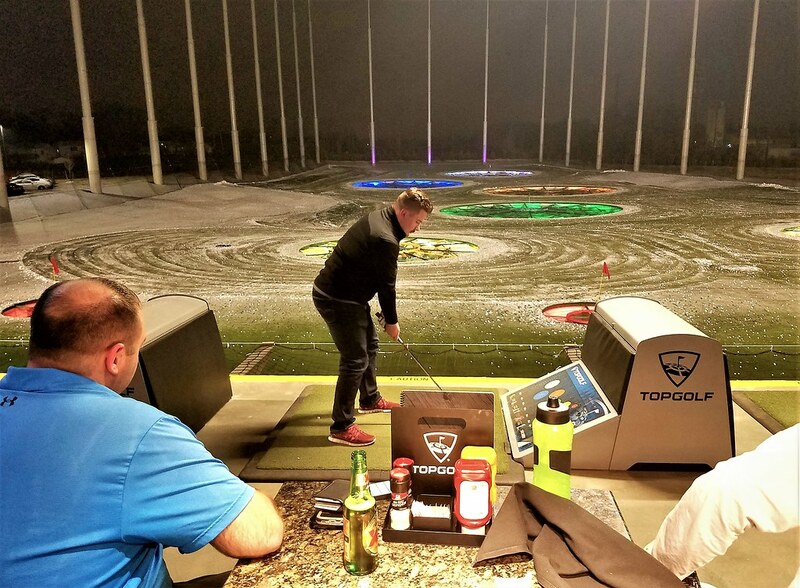 As someone who has been enjoying learning the sport of golf, Topgolf was actually a completely different sort of golf for me. The goal is to reach certain targets, making distance not always a better thing based on the game you choose to play*. *Also, part of the reason why I beat Hubby twice. 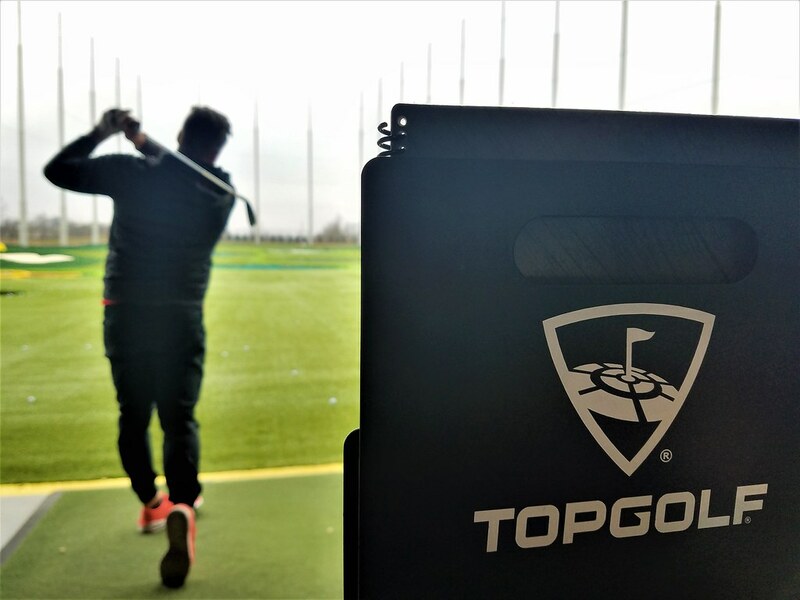 This framework makes Topgolf a place that golfers and novices can equally enjoy. Obviously, as in bowling, those with more experience hold a higher chance of doing better, but a good time will be had by all, as was our experience.